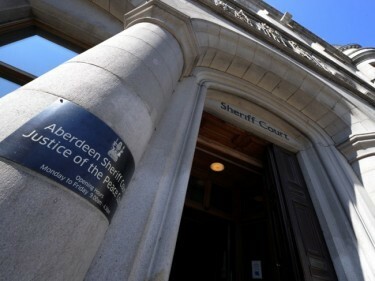 A north-east man who attacked a police officer has been ordered to carry out unpaid work. Officers were called to Buckie Road in Aberdeen at around 2.10am on August 13 after reports of a disturbance. They discovered Aaron Yung in an intoxicated state and took him towards their vehicle to resolve matters, but the 31-year-old then butted Constable Craig Scott. Yung confessed to the assault during an earlier appearance in Aberdeen Sheriff Court where he returned yesterday to be sentenced. The court heard the officer required no medial treatment as a result of the attack. Representing Yung, defence agent Kevin Longino said a number of personal issues had got on top of his client on the day in question. He added that he had lost his job as a result of the attack. He placed Yung, of Fairview Circle in Aberdeen, under supervision for nine months and ordered him to carry out 120 hours of unpaid work.